This is not 100% conversation with my other half. Since, the Dodge van we have right now doesn’t need a lot of repair, however, getting a better car for our daily routine activities. We do take good care of our things, especially those that we knew we truly needed. Whenever there are small problems, my husband makes sure that we take the van to the shop and get it fixed right away before the bad things comes. This way, have gotten the van repair and be optimistic to have less problem in the future. Anyways, things don’t last evermore, especially those that we use often. Just like the van right now. It does great on the road and we have no problem about it, yet we still plan to get a much better one in the near future. There are other ways to find the best arrangement, just like if we decide to have it trade-in, or not. Sometimes, when you come across someone to buy the old vehicle for you it is another way. We would rather put it up for sale to someone we be acquainted with since we know they will take care of the van just like we do. Then, it is our duty to find a great deal of vehicle once it is sold. We have a few local shops in the area, though, hubby is more unwavering to discover the best deal not just in local but as well as online. And of course, we aren’t just concern about the car itself, nevertheless, we would like to make sure that it is also good and safe not just for the driver but for the our children and our passengers as well. And since we still have a growing toddler, it’s best to know about car seat safety, whether the vehicle we pick would fit in the car seat as well as for the children. 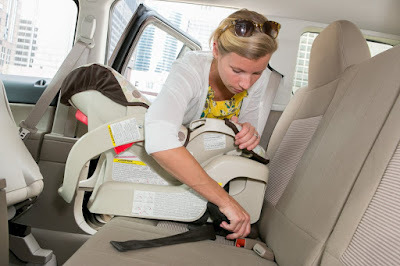 A quick knowledge about car seat safety from Cars.com in which I do find every interesting.